Oak Bridge Timber Framing, is a company based in Loudonville, Ohio that runs their business philosophy on faith, family and community. Despite their national success, they haven’t forgotten what they stand for. This family-run, three-generation-business was raised on helping those around them. 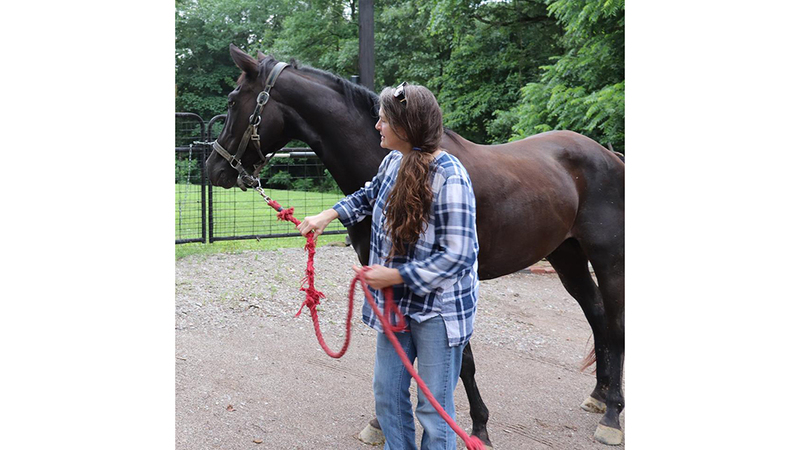 Last Chance Corral (LCC) is a horse rescue organization that takes in abandoned, neglected, mistreated or surrendered horses and foals in Athens, Ohio. LCC accepts any horse they can, despite the health obstacles that might come with the horse. Their goal is to provide a loving, caring space for the horse until it is adopted into its forever home. When you have as many horses as LCC, you need a good barn. But tragedy struck LCC the summer of 2018 when a tree fell on the horse barn the adults live in . Thankfully, no horses were in the barn during the tree fall. But Victoria Goss, the owner and president of LCC, was in the barn getting ready to bring the horses in when the 20 ton tree hit. Goss describes the experience as a "boom" she could “taste and feel." She didn't know what happened at the time, but she suspected a gas leak at first. 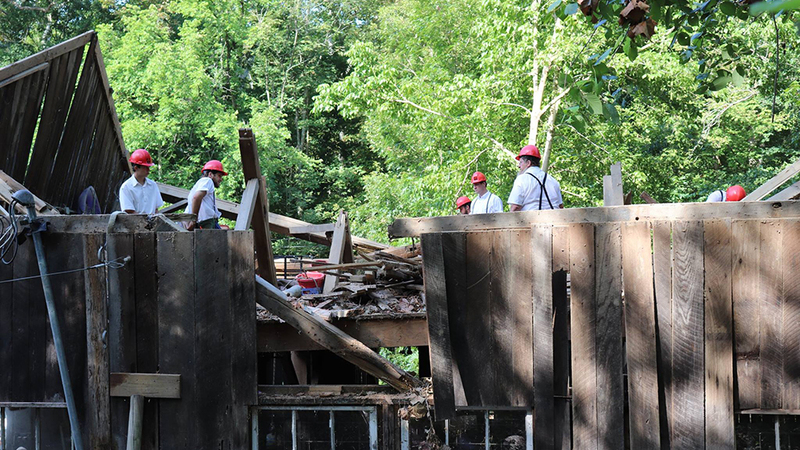 The large, sturdy timber frame beams saved her life that day. She describes herself as a born-again human, and the near-death experience has re-energized her desire to save more horses. The destruction of the barn left LCC scrambling for a solution. As a non-profit organization, there wasn't much money to spare. They talked to their insurance company, got estimates from contractors, and debated internally on what to do. In the midst of their deliberations—someone was coming to their rescue. 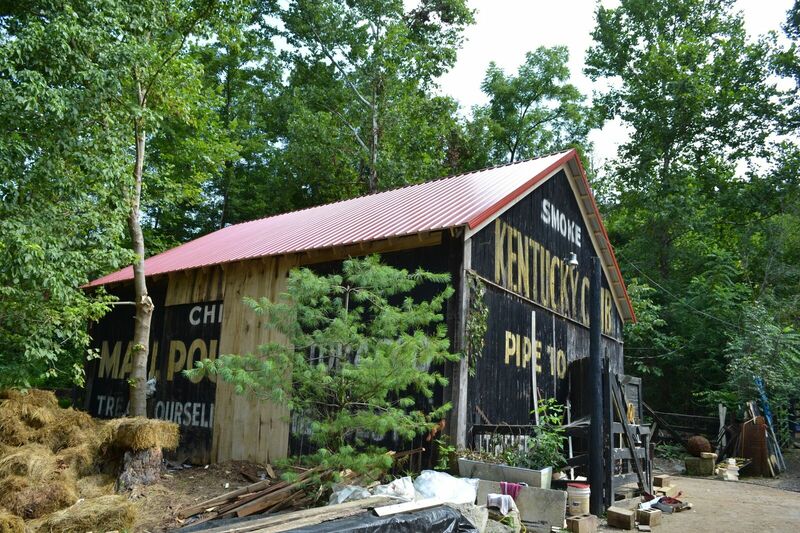 A customer of LCC shared the post of the destroyed horse barn to Oak Bridge Timber Framing's Facebook page. 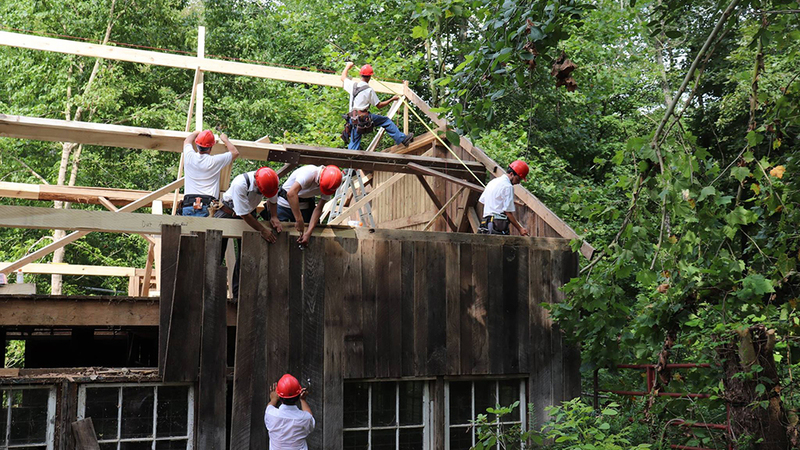 The timber framing company acted quickly on finding a way to help out. 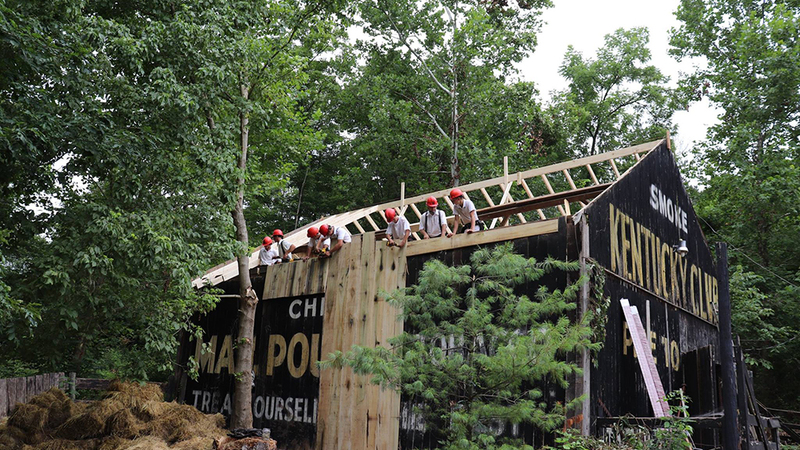 Oak Bridge drove down to LCC and began removing the debris of the old barn. They donated all labor and supplies, sparing LCC from spending anymore on the tragedy. Johnny Miller, the owner of Oak Bridge, was happy to help. He describes Goss and the others at LCC as “the hardest working people around". Miller says that their hard work made it very rewarding for him and his crew. They knew a new horse barn would be put to good use by the rescue organization. In total, the crew at Oak Bridge finished the project in eight days. They worked as fast as possible so LCC could resume a normal routine and the horses would have their home back. Now, a purple peg lays on the roof of the new LCC horse barn. The purple peg initiative, as described by Miller, is a reminder to himself and the crew to always help those in need. The peg is crafted from purple heart wood—only appropriate for the reminder it serves. Miller hopes that people who see the purple peg are inspired to help those in need, too. It’s safe to say this won’t be a problem for LCC. When they see their purple peg on the newly constructed horse barn, they’ll be encouraged to stay on track by continuing to save horses in need. 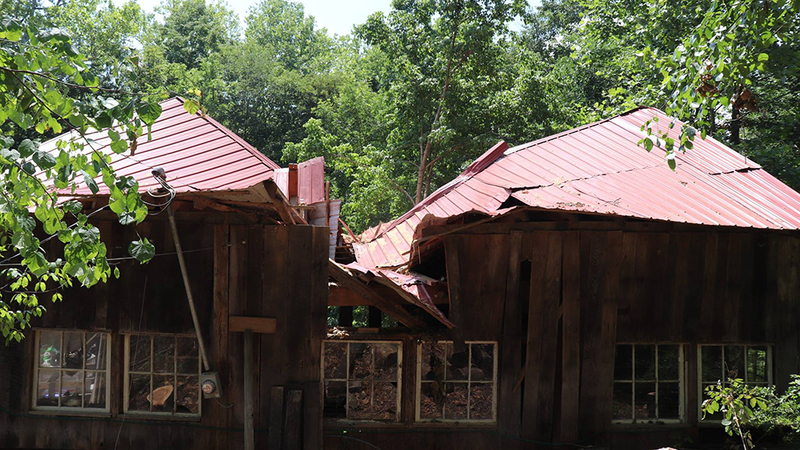 On July 5th, a tree fell and hit the barn at the Last Chance Corral, ruining their barn. The beginning of the repair. 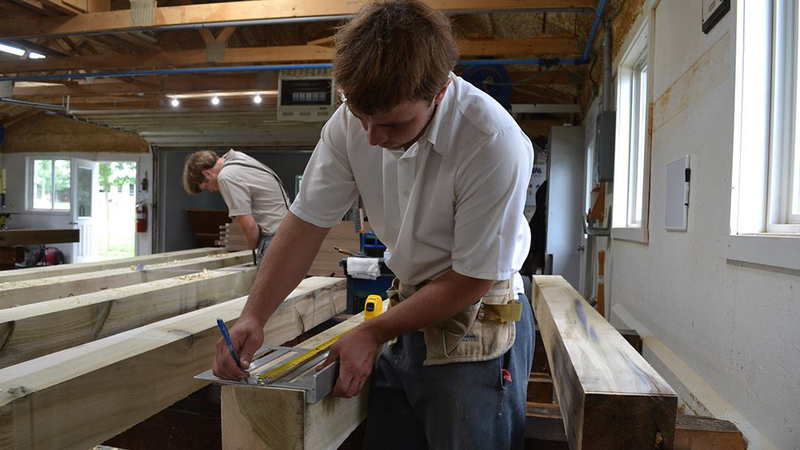 Oak Bridge crew creating beams in their workshop. Oak Bridge crew on site. 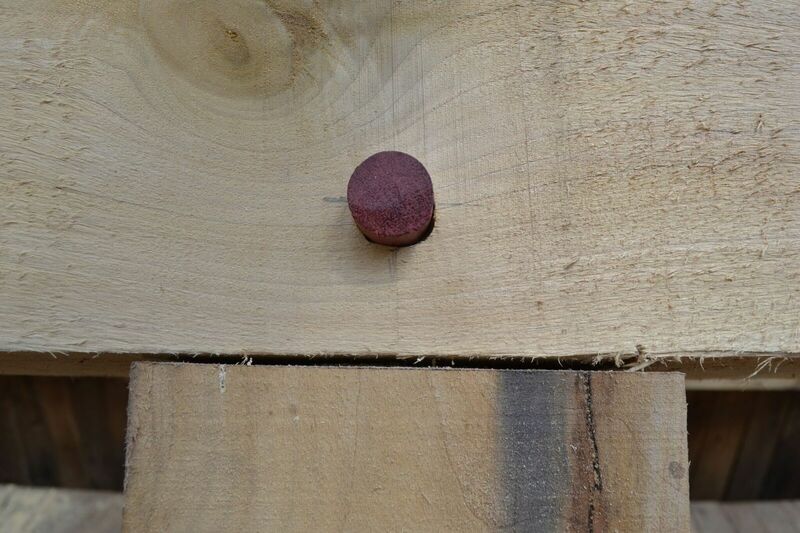 The purple peg in the new barn.